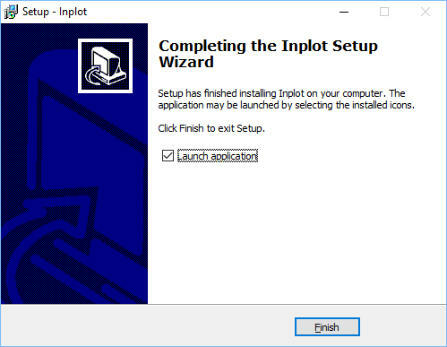 From the Main Inplot webpage click on the Download button to download the installer. Activating the software. 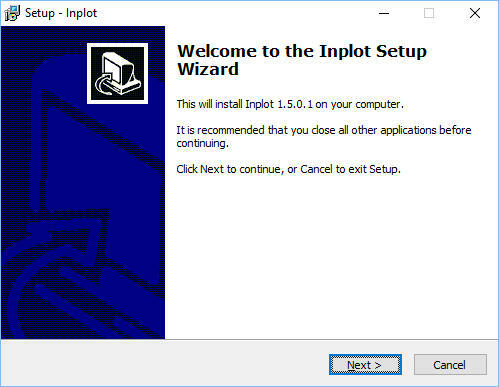 When Inplot is first installed, it is in Trial Mode, which allows it to run 30 times. 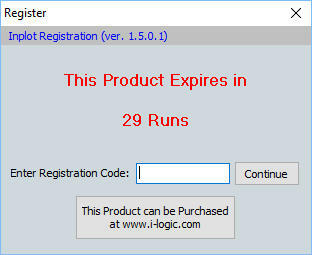 A registration code must be purchased and installed for it to run permanently. During the trial time the activation windows is shown every time the program is started. This is where you will enter the activation number for a permanent activation. When you purchase the Inplot software, you will receive emails that have an Activation Code. 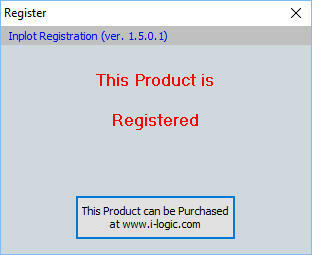 You activate the software by entering this code into the Registration window in Inplot. This registration window can also be found on the Main Menu - Help. Follow the instructions for each step. On finish it will start the application.